Designed to accommodate various device sizes, weights, and form factors, the system is available with several mechanical interfaces for the mast, including a 300mm-diameter half-sphere with dedicated notches that allow users to easily position DUTs, such as tablets and phones, both horizontally and vertically. Standard system components also include a slip ring within the mast that allows users to bring both power and digital control signal to the DUT, a rectangular horn antenna, rubberized absorbers, an integrated gigahertz control unit, and an assembled RF path comprised of high-performance cables, rectangular waveguides that minimize path losses and ensure maximum measurement accuracy, measurement horns, amplification stages, and switches. No up or down frequency converter is used on the RF path to ensure excellent phase accuracy and stability. The Millimeter Measurement System also includes an integrated computer complete with Ethertronics Antenna Measurement software for measurement control and data acquisition and Ethertronics Antenna Viewer software for post-processing and tabular or graphical data output. In addition, each system comes with installation, training, and warranty services. Optional components and services include calibration kits, custom mast, and interface materials and designs, and post-warranty service plans. Ethertronics’ ETH-MMW-1000 Millimeter Measurement System employs far-field, spherical technology with myriad measurement capabilities, including oversampling, gain, directivity, efficiency, beam width, cross polar discrimination, 3-D radiation pattern, radiation pattern in any polarization, effective isotropic radiated power (EIRP), total radiated power (TRP), effective isotropic sensitivity (EIS), and total isotropic sensitivity (TIS). 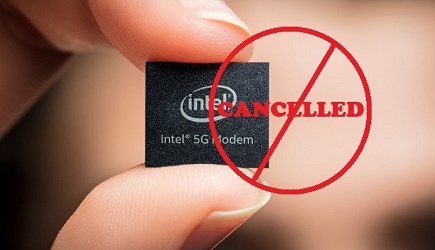 Each measurement frequency has a dedicated path associated with a common amplification stage, but combinations of several mmWave frequency bands, including 18-26.5 GHz, 26.5-40 GHz, 33-50 GHz, 40-60 GHz, 50-67 GHz, and 50-75 GHz, are possible. The number of measurement probes can also be optimized to hasten measurement time. The system requires a minimum of two measurement probes to cover H and V polarizations but can accommodate up to 12 probes on the ring positioner. The mobile Millimeter Measurement System is compatible with test devices up to 45cm in size and 10kg in weight. Lead-time for the Millimeter Measurement System is currently three months. 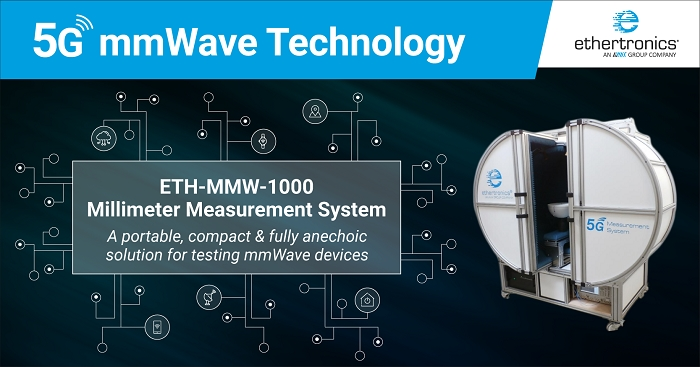 For more information about AVX’s new Ethertronics ETH-MMW-1000 Millimeter Measurement System, click here.